Even though it's -5 degrees outside, our household is well on the way to enjoying a very merry Christmas. 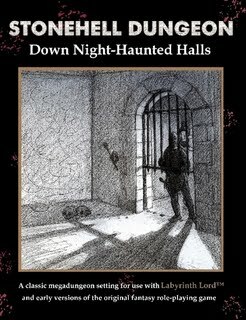 I'm not meeting up with my gaming pals until the 30th, so in the meantime, I thought I'd share a couple of OSR approved non-gaming reviews. Although I'm not normally a beer drinker, at Christmas I usually make an exception. Here's a cross-section of winter warmers. 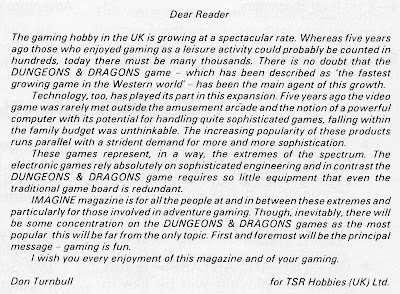 I know the OSR is just small niche of a few thousand players, but clearly the beer marketeers are blissfully unaware of that. Look at these bottles - they scream old school. 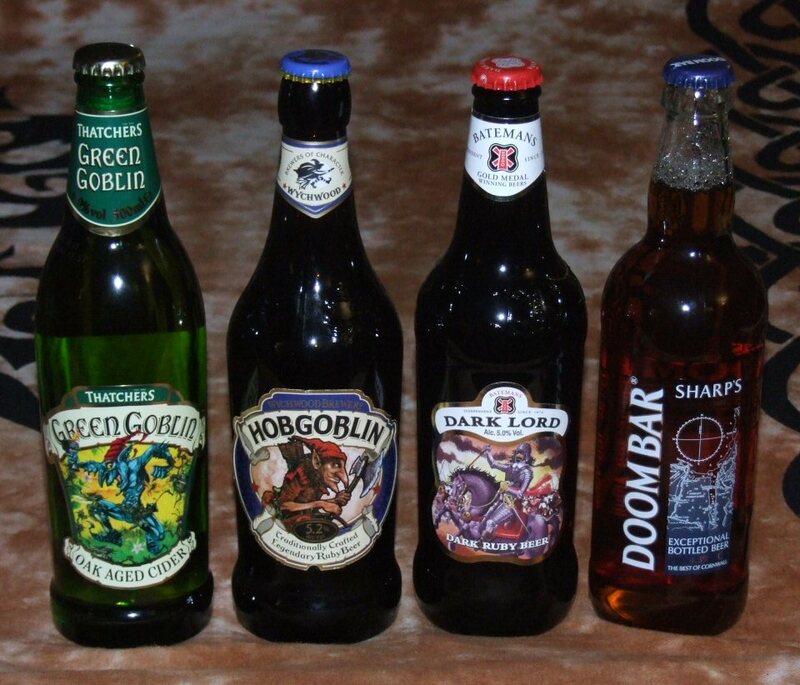 I didn't think much of the Green Goblin cider; I'm guessing that it's probably a 'me too' product cashing in on the olde worlde goblin pictures to sell drinks to immature 40somethings (that would be me then). Doom Bar was my favourite, but I think it's more a drink to be enjoyed in a Cornish beer garden, a stone's throw from the brewery. Dark Lord is a dark ruby beer which, for me, was just a bit too malty and treacly. So that makes my top choice for Christmas beer, Wychwood Brewery's Hobgoblin Ruby Beer. It has a very pleasing taste pretty much slap in the middle of the other two beers. 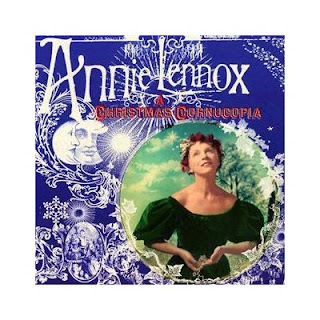 What better way to accompany a warming flagon of beer than some traditional Christmas music. Our house normally awakes on Christmas morning to Mario Lanza's joyful tenor, belting out timeless Carols. 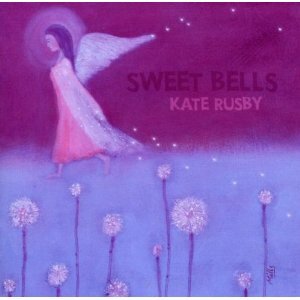 For Christmas Eve, I've added a couple of albums to our server that offer new and varied takes on traditional English Carols. Whatever you're playing, drinking or listening to this holiday, I hope you have a most Merry Christmas and a Happy New Year. 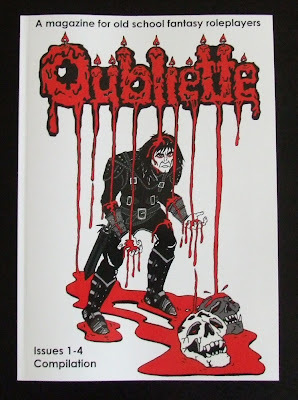 I intended to publish Issue 5 of Oubliette just in time for Christmas. Unfortunately, the Unusually harsh early winter weather, an unexpected trip to London and several family members becoming quite ill with a nasty dose of flu, have all conspired to prevent me from completing the magazine with my usual gusto. Rather than present an inferior issue next week, I am going to delay realeasing it until the end of January. 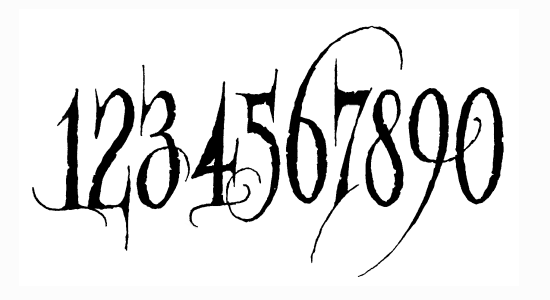 It will be worth the wait though as I'll have a nice surprise to announce with it. 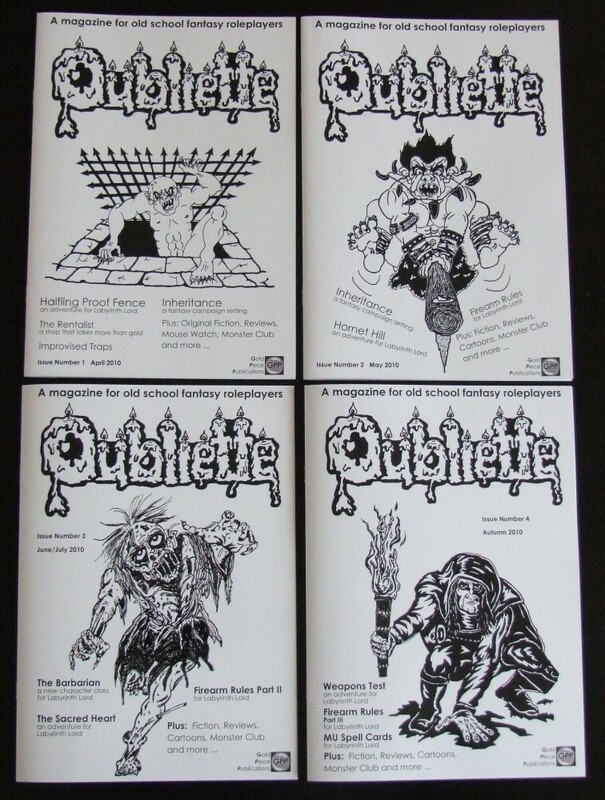 Printed editions of Oubliette are now available to buy from Lulu.com. 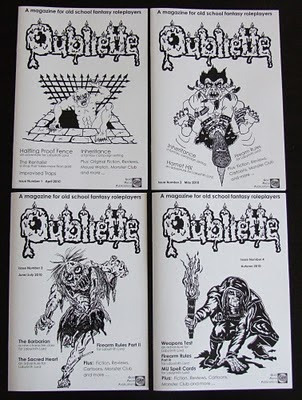 All four issues are available individually for £2.99, or as a 140 page compilation for £7.99. You can get 15% off your Lulu order until 15th December using the promo code STOCKING305 . If you are in the UK then I have a small number of copies of the compilation edition to sell directly at £9.50, including P&P. If you'd like one, send me an email and I'll send you a paypal request. Every year we throw my daughter a Halloween party and set up the conservatory as a 'spooky cave' this year we did such a good job that none of the kids (aged 3-9) wanted to go in there. 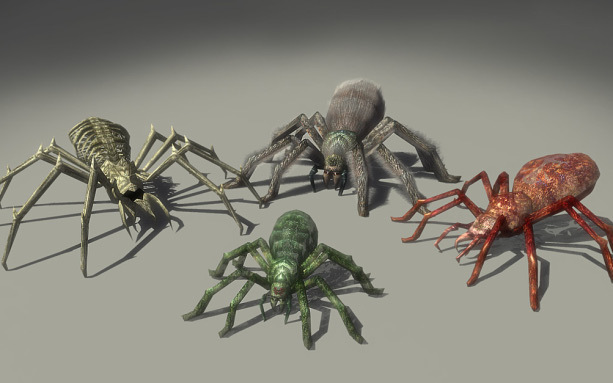 I think it might be down to the dozens of spiders hanging from webs we'd put up. Inspired by this as we were putting everything away I bagged a few of them to go in my figure box. As mentioned in the current issue, here's some pictures of a mini Spell Book that I put together using the Spell Cards and a credit card wallet. 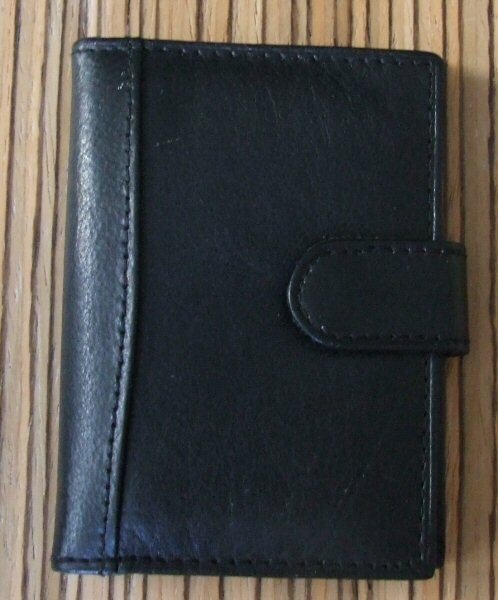 I got the wallet from eBay, think it was this one. Issue 4 On Sale Now! 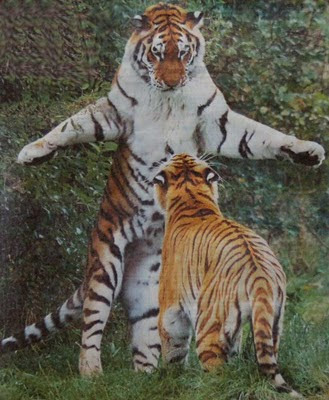 Saw this picture in the paper this morning and instantly thought Weretiger. 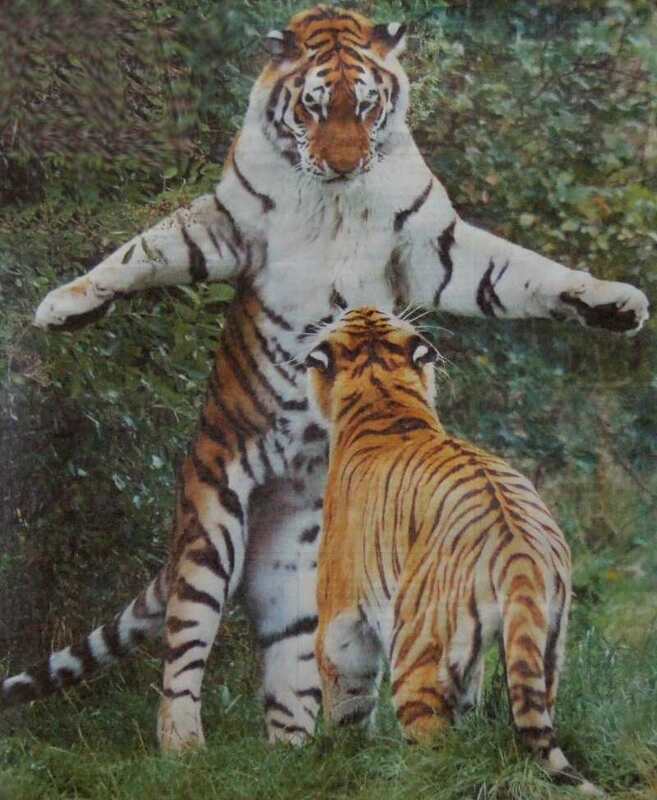 It's actually a Siberian tiger which, according to the notes in the paper, is the largest species of tiger, weighing up to 670 pounds and measuring 11 feet from nose to tail. Sadly, it also mentions that there are thought to be as few as 450 of them still living in the wild, mainly in eastern Russia's birch forests. When they can't get adventurers they are partial to eating bears! After a couple of months off, I've now started putting together Issue 4 which should be out mid to late September. As usual I'll post a contents list one week before publication. 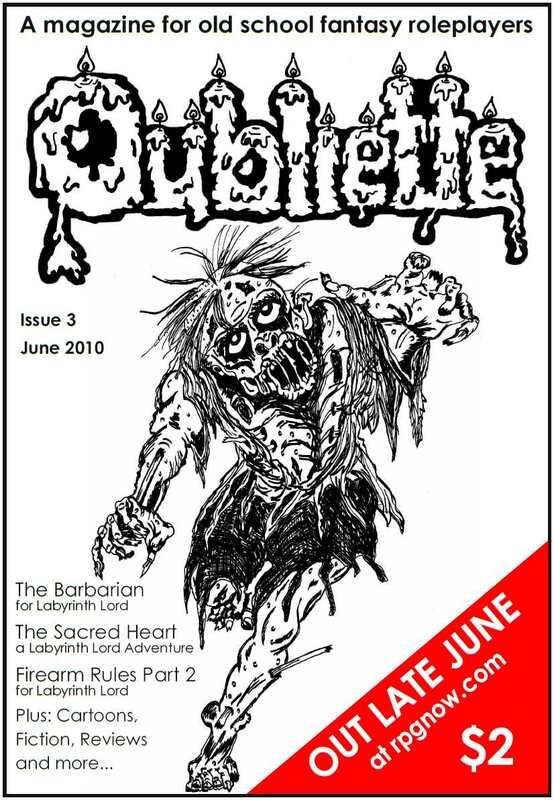 My future plan for Oubliette is to publish it Bi-monthly or Quarterly to allow a bit of time between issues to work on some new projects. It's been an invigorating Summer to say the least. 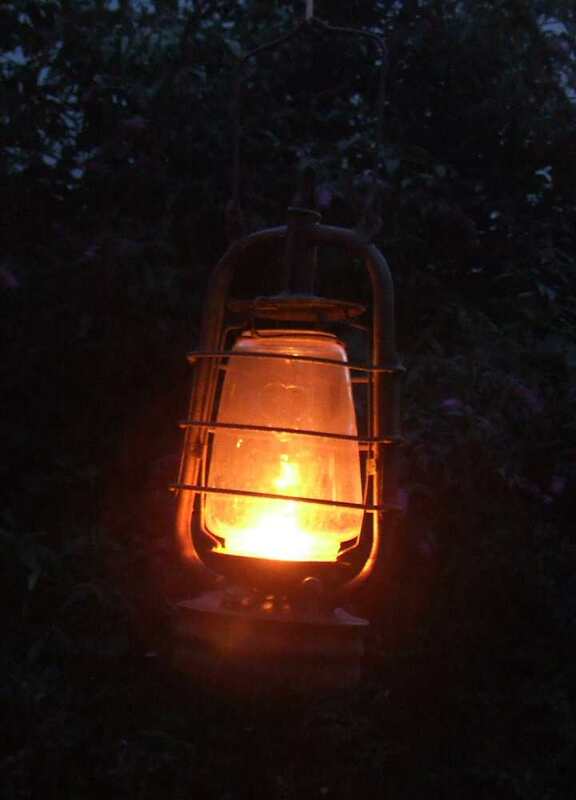 I'm very glad to be back, preparing now for Oubliette Issue 4. As usual, I am screaming things like "WHAT? I CAN'T DRAW THAT!" whilst composing the picture in my head, discarding and recomposing to my satisfaction. My table is awash with pencillings, some completely unnecessary. One is of an Enchantress. 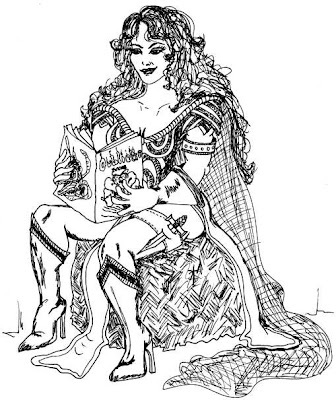 Technically, she's correctly drawn, but there's something massively disturbing about her. What is wrong with me? Why must kink work its way into things drawn with an intent so pure? I may have to work her into Issue 5. I will have to wait until Peter says "Definitely not! NO. Nonononononononononono. Really, No!" to post a drawing, so stand by, he tends to say that a lot on the way to the finished article. Anyway, must get back to it. So glad to be back. 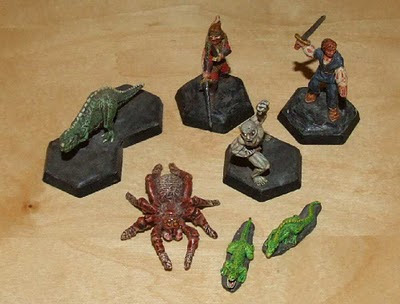 I think summer must be the best time to shop for miniatures on ebay. Judging by the prices some lots go for, there's just no real demand. 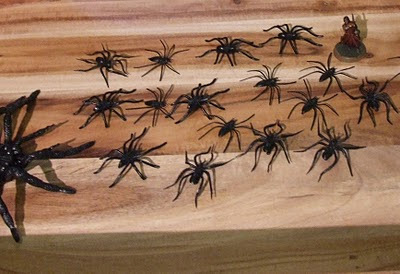 I've added several hundred to my collection, at an average cost of about 20p a figure (about 10% of the retail price). What's more, many of them are painted to a reasonable standard. I've found that the best value can be had from buying up large Warhammer collections (their Lord of the Rings range seems to be very much out of fashion at the moment). Although, now I probably have too many of certain types, in addition to my original, unpainted collection. However, it feels prudent to hold off selling the extras until September, when schools and colleges start back, as I'm pretty sure the demand for miniatures will pick up by then. I've been meaning to write up some notes for the two campaigns I play in, but, until now, producing Oubliette magazine has taken precedence. The first few games were mostly about blowing out the cobwebs for a group that hadn't played together for 15 years. Now, we're at the stage where we're having such a blast, it seems a good idea to keep a record for future reference and hysteria. As there are just two players, we're running 2-4 characters each. 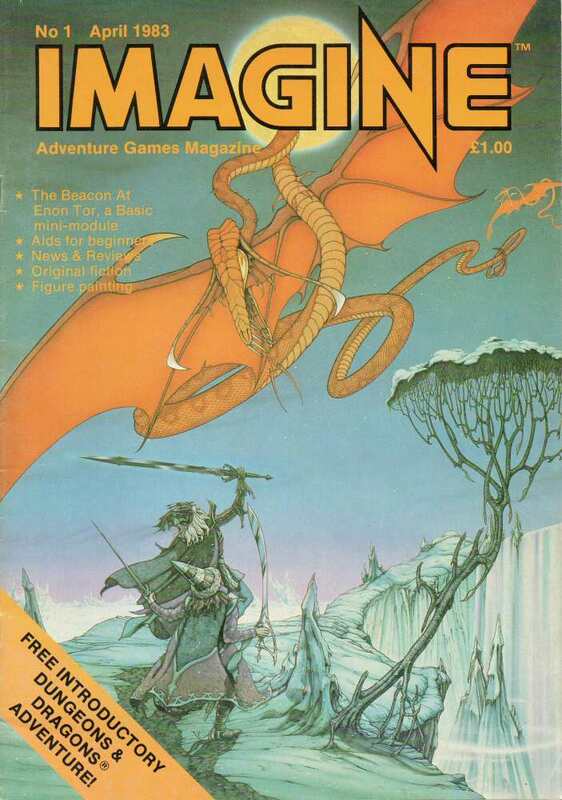 So far, all the games have been ventures into Stonehell, using the Inheritance campaign setting (as featured in the first two issues of Oubliette). 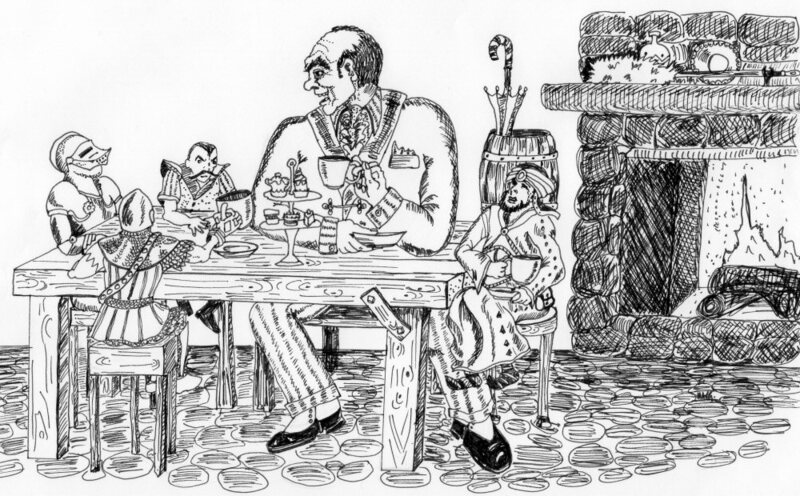 This setting allows different games away from the megadungeon now and then, at our LL's discretion. Inheritance is a post-apocalyptic world that makes a superb setting for Stonehell. The player characters live in a community known simply as 'Home'. It is essentially a hill fort whose inhabitants have fought and worked hard to establish it. 'Home' relies on trading with the dwarves for salt, weapons, armour, and other metal goods. 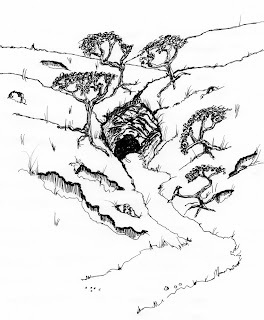 To help fund this trade, teams are sent out to search ruins and dungeons for treasure. 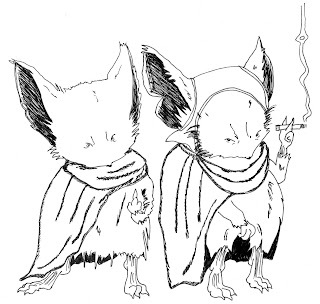 The characters are the team that drew the shortest straw and have been sent to explore Stonehell. 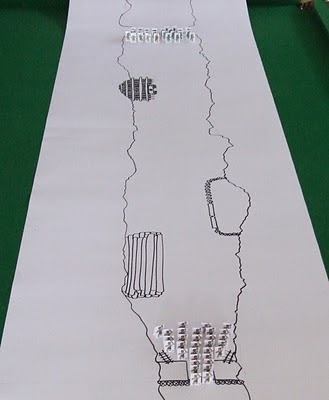 In the five sessions preceding this one, our party has covered around half of Stonehell's first level. 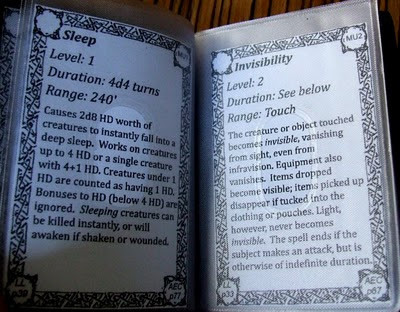 Most sessions have seen the death of one member of the party (we play strict dead at zero HP). However, in all but one of the sessions, the party have returned home with a very good treasure haul. 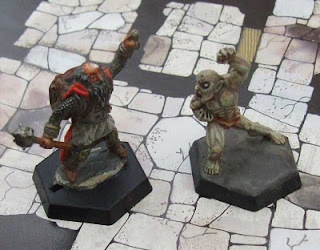 The characters head out on the two day trip to the dungeon. 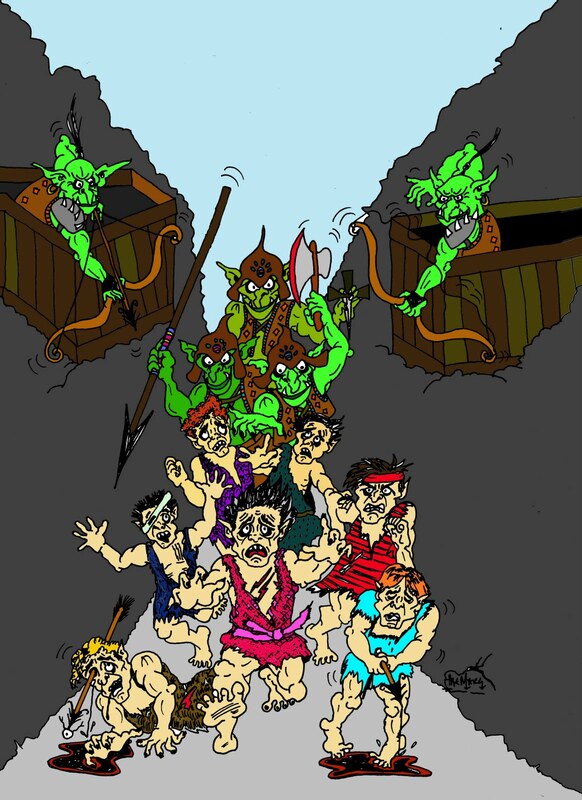 The party makes it back to the section of the dungeon they reached on the last visit. Our LL informs us that this area of the level is called The Quiet Halls. We've mostly encountered undead here, so we're anticipating more of the same. The encounters are relentless, and even with two clerics to turn undead away, we have to stop twice to recover from the fights. One confrontation presents us with 28HD of undead all at the same time. Thankfully, we turn just enough of them to balance the fight up a little. By the end of the game we've added substantially to our map of the level, and have chalked up the following kills/turns: 3 Ghouls, 25 Zombies and 18 Skeletons (we think some of the kills were probably the same ones we turned before resting). We suffer one fatality, but not from the combat. Michael Curtis has put far more dangerous things than monsters into Stonehell to catch us out. 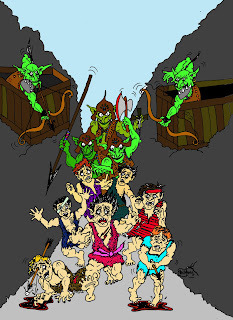 In fact, most party fatalities so far have been at the hands of pits and traps. We have learned to be ever more cautious especially when we come across an 'interesting' new feature. The penultimate room we explore has a giant set of weighing scales in it. As usual our LL describes it, and smirks, giving nothing away. We spend a few minutes looking but not touching. Eventually, we decide it's too obvious and there is no way we're going to risk it, so we carry on to the next room. In this room there is a dais in the centre with a large stone chest on it. The room also has bursts of purple flames shooting from the floor in apparently random locations. We stick a pole into one of the flames and it comes out very cold – best not touch the flames we think. The chest proves too tempting for the thief so he makes a jump for the dais and takes a look at the lock. He rolls for traps but doesn't find any and then rolls to pick the lock. While all this is going on he is also managing to avoid the flames that spring up every round. Success! The lock clicks open. However, the trap he failed to spot goes off, and the poison gas kills him stone dead seconds later. This is pretty much the first real success the thief has had using his abilities and the pain is even more hard-felt as he was one of the original characters who started the campaign. 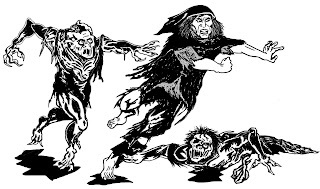 The party mourn the thief for a few minutes, then reluctantly, retreat for a second time to rest and heal, as none of them have enough remaining hit points to risk getting caught in the flames. 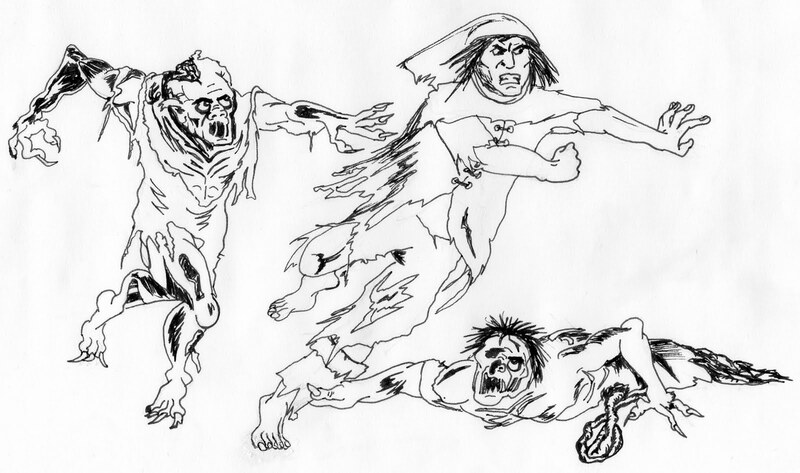 They return fully healed only to find a group Zombies feasting on the thief's remains. The Zombies are turned and the party then considers how to get a look at the contents of the chest. First up for a run over to the dais is the Dwarf who opens the chest to find hundreds of gold pieces and some jewellery. He tosses the jewellery across to the others and takes a scoop of gold using his helmet. He makes it back, but gets caught by one of the flames. Next up is one of the clerics who also scoops up a pile gold. He's not so lucky though and gets caught by the flames twice leaving him on just 1 hit point by the time he's clear of them. One of the fighters takes a final scoop at the gold leaving just a few coins left in the corners. The party then stand in the entrance looking at the thief's body, and recall that he was carrying some gold. 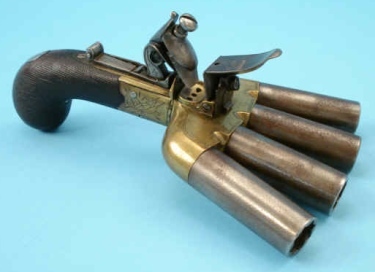 Unfortunately, he was also carrying the party's only grappling hook. There follows a lengthy and somewhat futile discussion with the LL about possible tactics for getting the thief's corpse and/or backpack out of the room without risking the flames. The 10' pole is just a little too short to reach him and none of our arrows are barbed, so we can't shoot one with a rope tied to it into him. 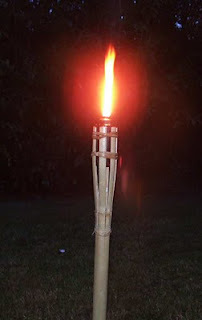 Ultimately, we conclude that the only way to get his stuff is to risk the flames once again. The Dwarf makes the dash and cuts the straps to his backpack and runs back with it. In Stonehell there is no dignity in death and the thief's body is left for Zombies to munch on as supper when they return. We head for home. Shame about the thief. He was only 200XP off 3rd level. Still, at least the LL gave us the XP for the 167gp we got from his pack. The party return home with over 1,000gp in loot and a useful +1 hammer. One of the clerics levels up, and we put in an order with the dwarves for some platemail for one of the fighters. 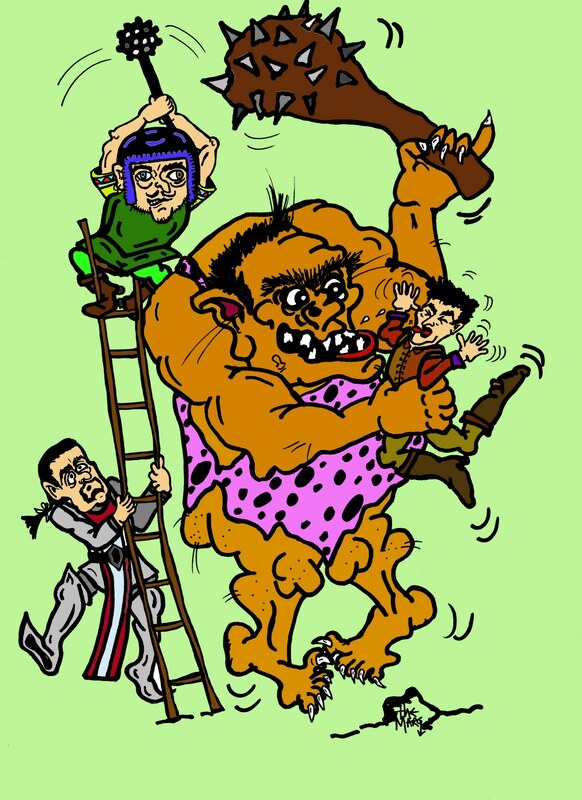 When Peter asked me to draw Barbarians for the PDF heroes, it had just so happened that I'd watched an episode of "Louis Theroux's Weird Weekends" in which he had investigated muscle worship. The show had ended with a look at muscle women and the men who felt that women body-builders were the epitome of feminine beauty. This picture of Sevar, a barbarian female, is spectacularly un-detailed, but that's because it was to be shrunk in size to make a pdf counter. 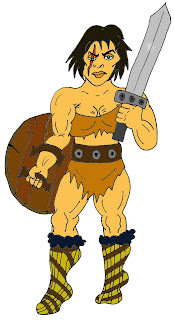 Her shape, however, is based on what was burned into my brain by extreme close-up photography of womanly brawn. Inspiration is everywhere, but it can prove confusing if you allow it to overload you, as I invariably do. I need to get me some new filters on reality. I'm currently sketching up an Oubliette Cover for Issue 4, but now have to split my head between three ideas. I hate it when this happens. 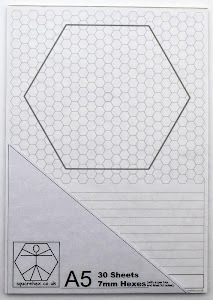 I feel like the word Impasse has suddenly taken on human form and is beating me over the head with my ruler. 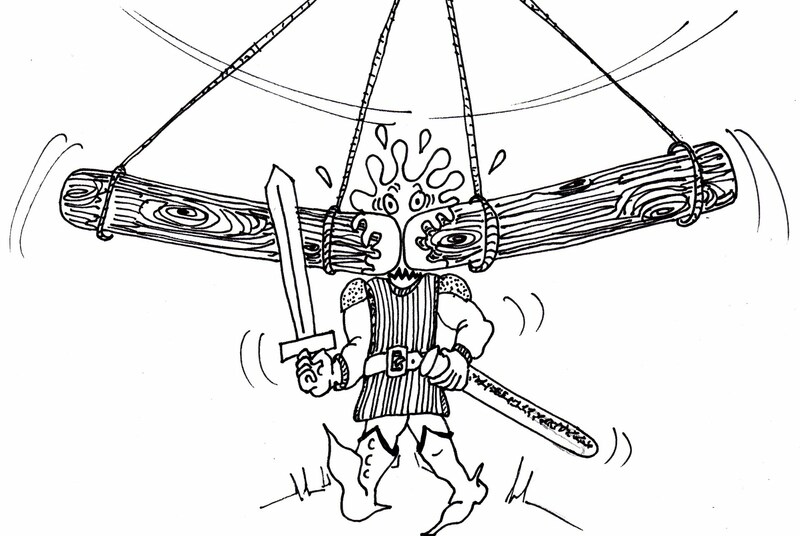 See, now that I've described that, I've just done a black and white cartoon in my head of Impasse assaulting me. I don't think Peter would accept that as a cover, so it's pointless drawing it. 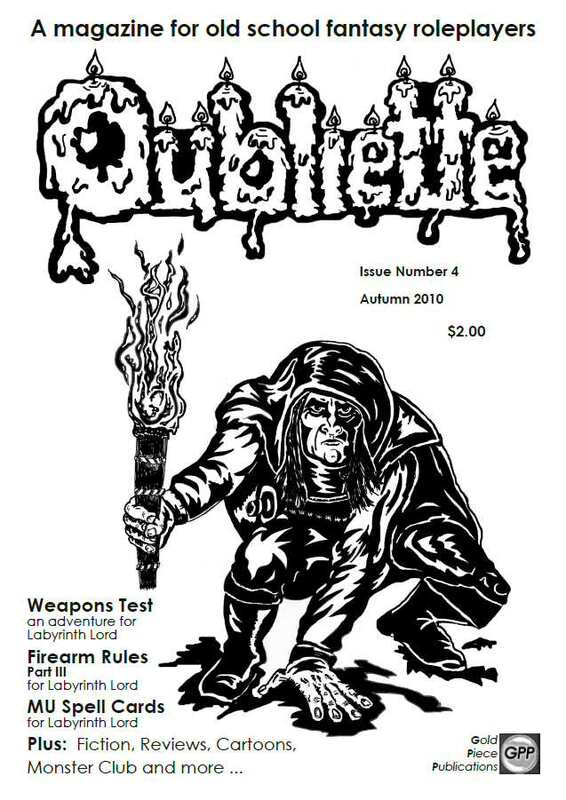 Oubliette Issue 3 is out. Hurrah. I'm already doodling(-steady) ideas for Issue 4, and as the magazine is taking a wee summer holiday, I reckon I'll have loads of prelim material to play with before Peter is cracking the whip for art submissions. Issue 3 On Sale Now! 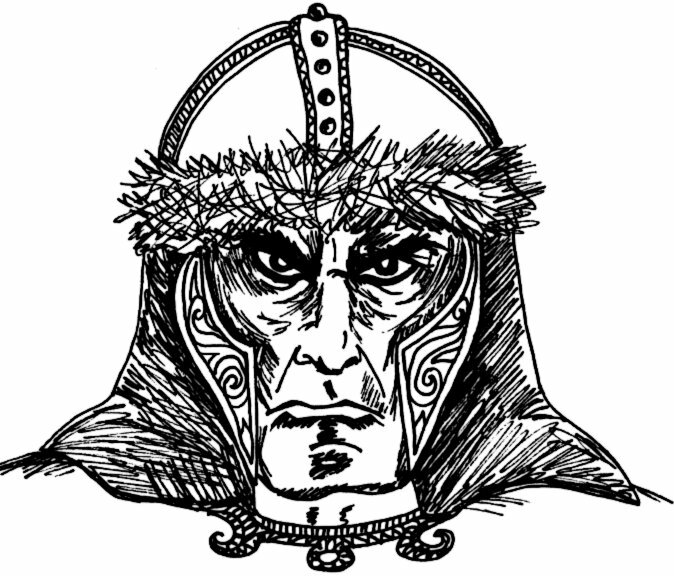 This month's theme is The Barbarian. 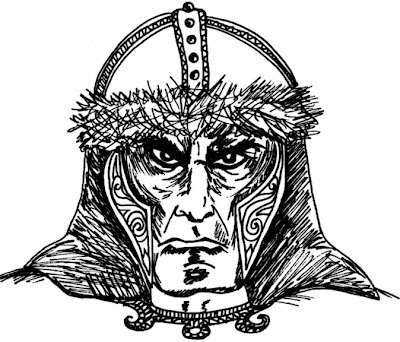 We have full rules for running barbarian characters and a 12 page adventure for you to try them out on. We've also added a new cartoon strip and beefed up our existing two cartoons to full page versions. 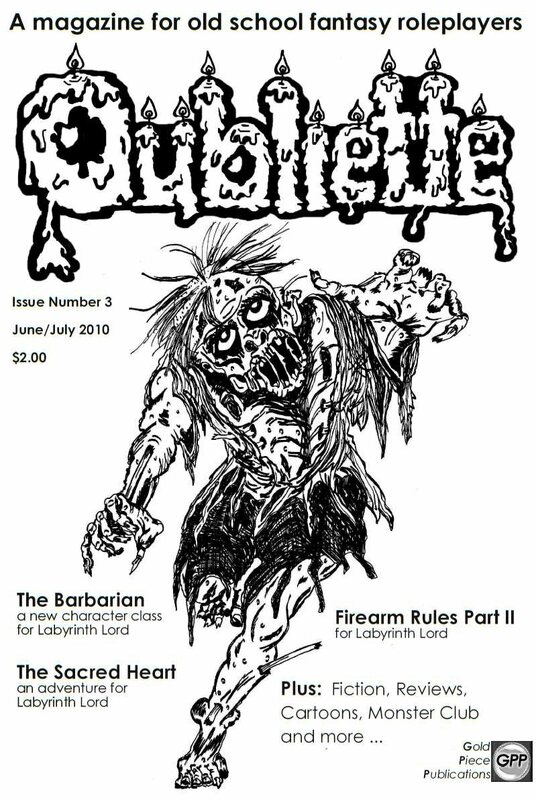 In addition there's Part Two of our Firearm Rules for Labyrinth Lord and all the usual reviews, fiction and great old school illustrations. So why is Oubliette in Black and White when you clearly love your Mad Colours Marg? 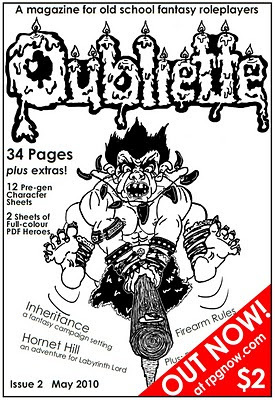 Oubliette is black and white because it means people can print it on their home printers very easily without eating through loads of coloured cartridges. 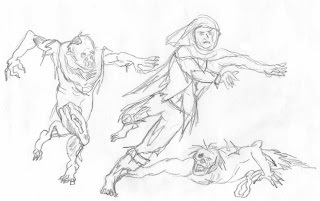 Every issue, I'm trying to up the level of my artwork, and so far, and especially with Oubliette Issue 3 coming out, there is a very clear progression. I'm aiming for Caravaggio, but have rather a way to go. Happily, I should be Damien Hirst-ing it large in another Issue's time. Don't ask me what that means. It's about 1.30am now and with an early morning tomorrow, I'm kicking myself for not going to bed earlier. 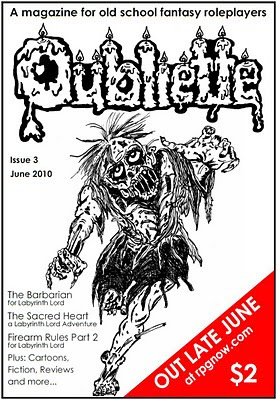 The second picture I did, started off as the cover to Issue 1, but once the name Oubliette had been been chosen as the magazine's name, other images came to mind. 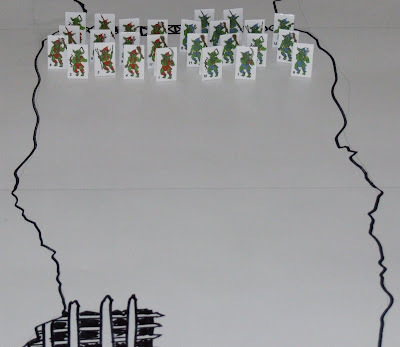 This became the lead picture for the now infamous Halfling Proof Fence adventure. Don't kill 'im, let's see if we can knock 'im out! 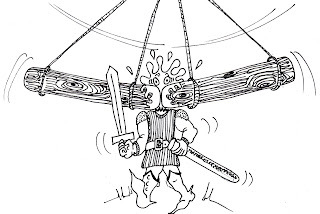 Having rolled about on the floor laughing at tales of derring-do, of Peter and his brave mates getting horrifically mutilated whilst trying to knock out a Hill Giant, I was inspired to draw this. Soon after, Oubliette was born. Now I'm not saying my picture was some kind of psychological sperm, but sometimes seeing things in 2D can clarify things. 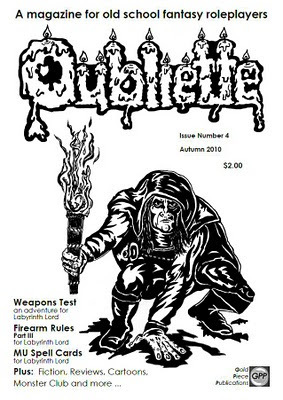 Issue 3 of Oubliette is due for release next week. 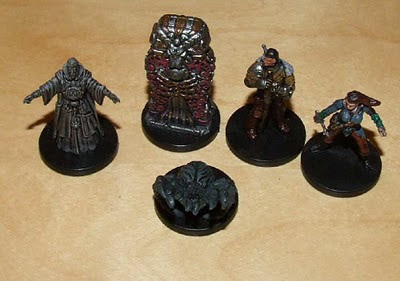 Since returning to gaming last year, I've spent some time tracking down my collection of miniature figures. 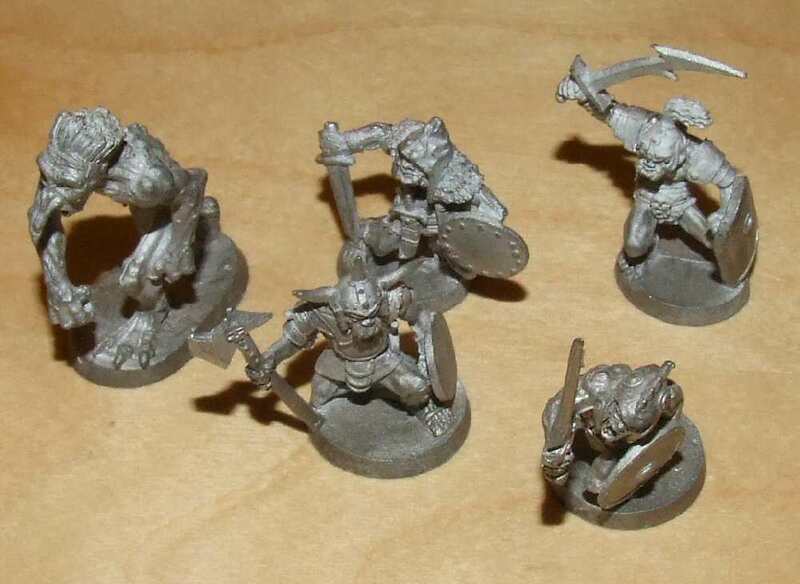 Altogether I've managed to locate about 300 25mm scale lead figures, mostly bought in the 80's and early 90's. Unfortunately, only about 20% of them are painted, and whilst I like using them in games, I don't have the time to really do them justice. So I've come to the decision that I'm going to sell a portion of my collection and use the proceeds to acquire some alternatives. Whilst they don't look great up close they're fine on the tabletop and certainly beat the appearance of the bare metal ones. I may still try some speed painting techniques on a few of my old figures but I think I've come to realize that although collecting figures and painting them is fun, it's just not for me anymore. Until yesterday I had several van-loads of belongings in storage, mainly due to a house move. 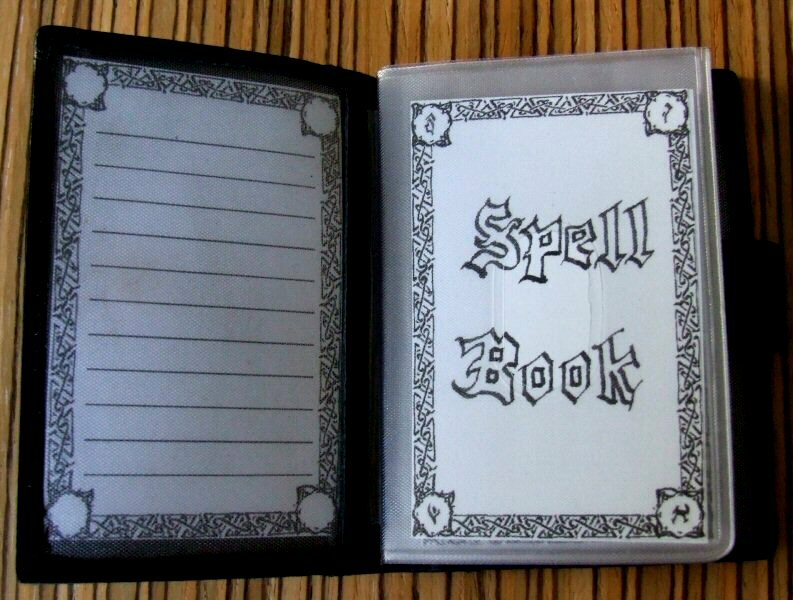 Now I've emptied the unit, I've uncovered several boxes of old gaming materials. 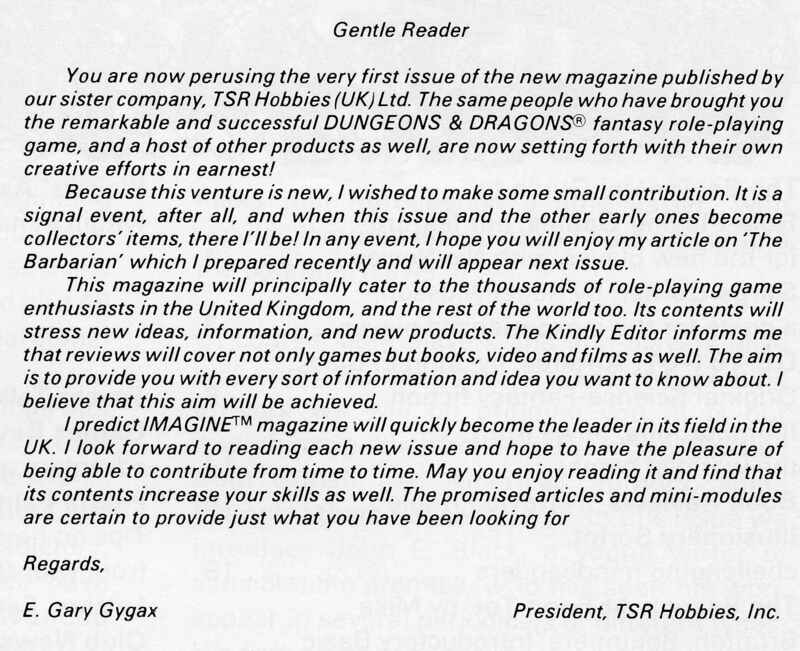 Mostly magazines, but a few other interesting bits and pieces, and hundreds of old miniatures. 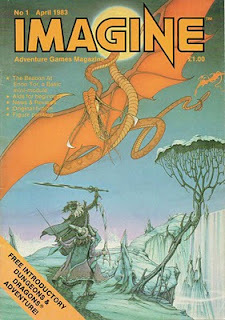 On the top of the first box was a "Special Collector's" Issue 200 of Dragon magazine. I had a flip through it and was stunned with what I found halfway through. 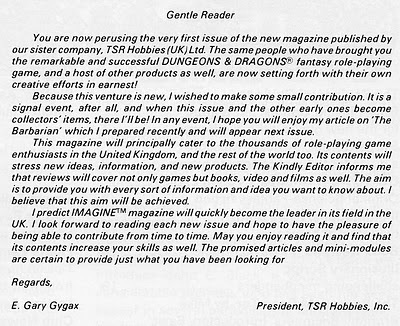 At the centre of this milestone, and at 170 pages, supersized issue what treat did TSR have for its loyal followers? 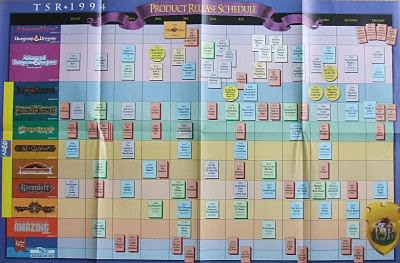 A 15 page advertorial and a detachable 28" x 18" full colour AD&D product release schedule for 1994. 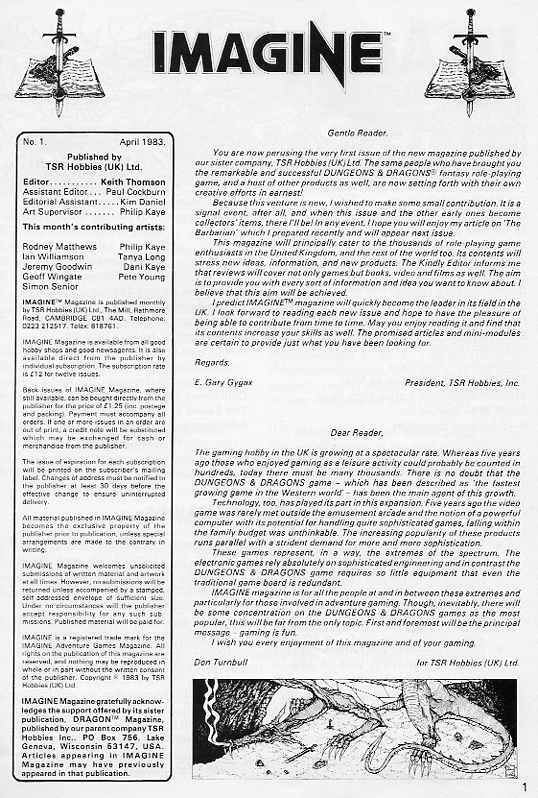 It features 100+ products spread across the various campaign settings. 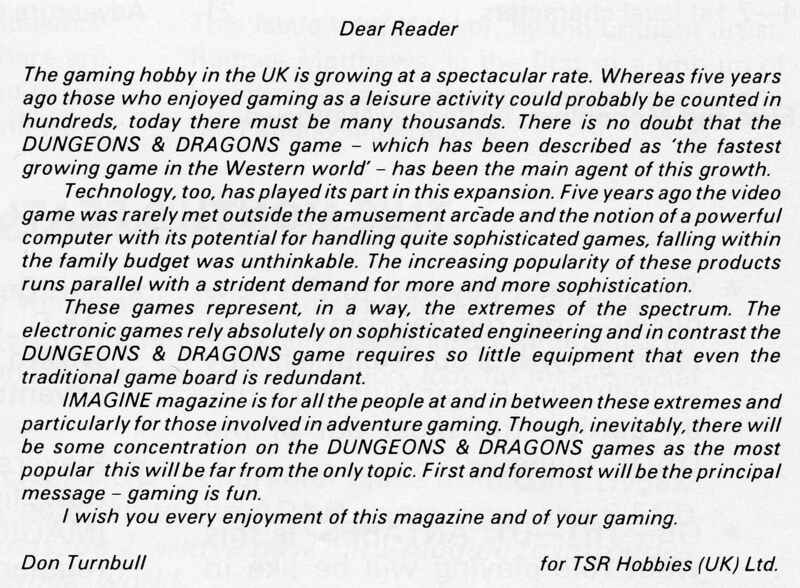 For me it's a perfect example of where marketing went wrong in gaming. 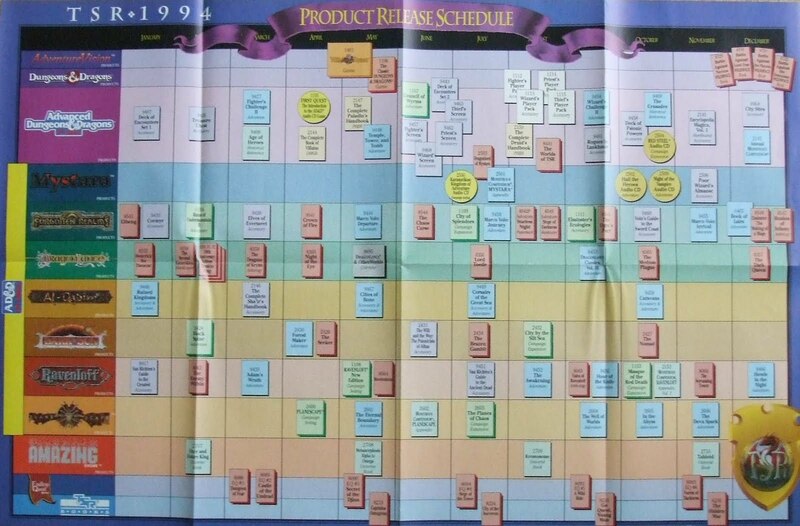 Imagine how great it would have been if they'd included a pull-out game supplement with a fold-out map. As I go through my gaming boxes I'll add more items that catch my eye. I'll also include some of the gaming purchases I'd rather forget. In the first issue of Oubliette I reviewed Faster Monkey Games' Turntracker which I thought was a good product, if a little pricey for what it is. Last week, for a similar cost, I picked this little device from eBay. 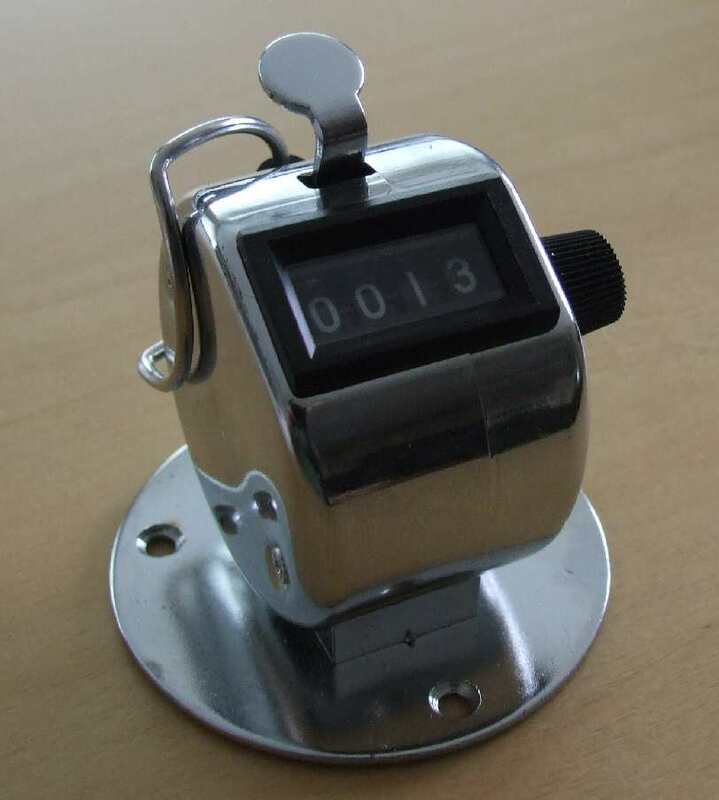 I'm using it as a round counter and have to say it works really well. 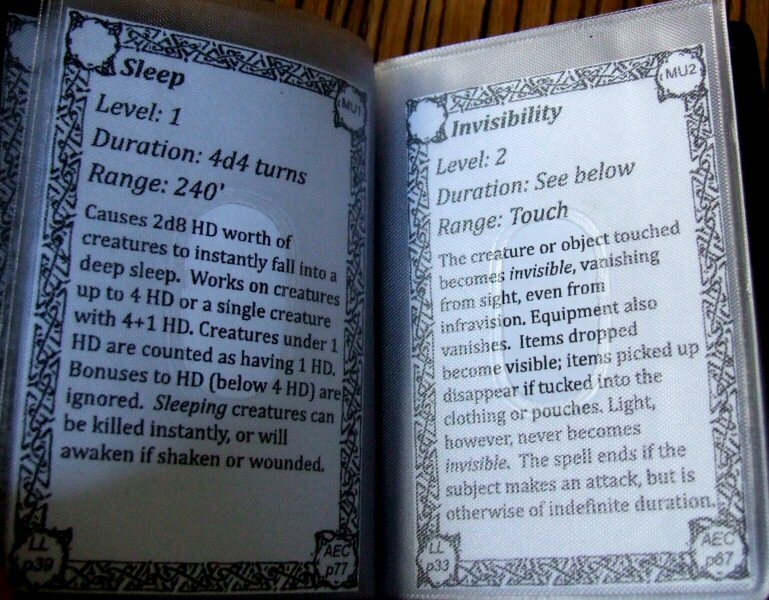 Stashed behind a DM's screen, you can just click it every time initiative is rolled. I guarantee that it has the potential to infuriate players and can really help build tension. 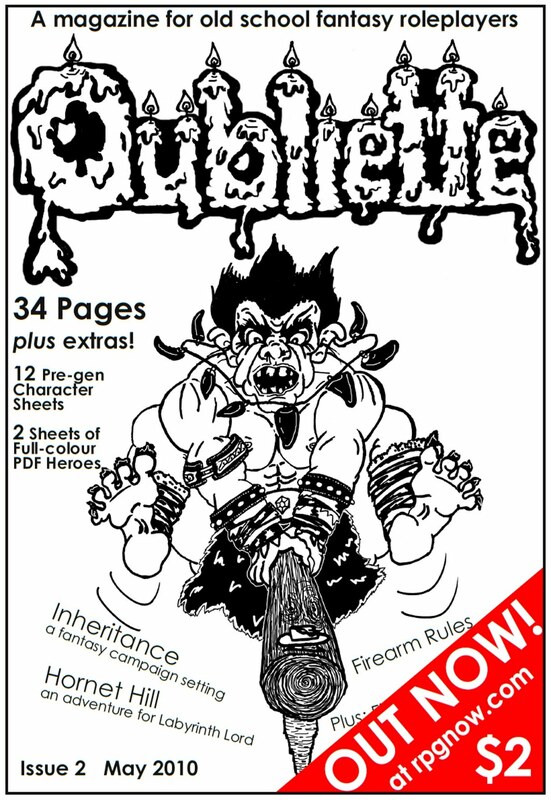 We're busy working on Oubliette 3 which will be packed with loads more old school goodness. I'll put up a full contents list next week. I've been thinking about some more things to add to the blog. 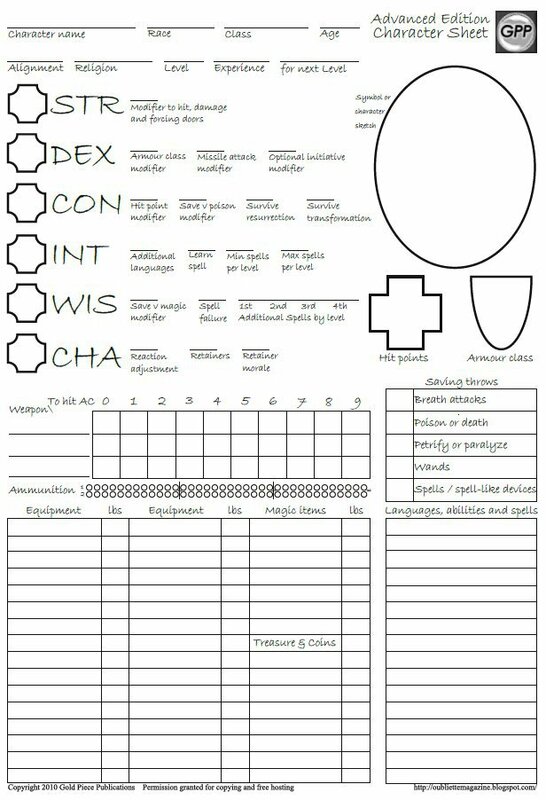 I play in two campaigns so I'd quite like to run some session reports on those. I'm also going to try and include some posts on miniatures and some other gaming items. 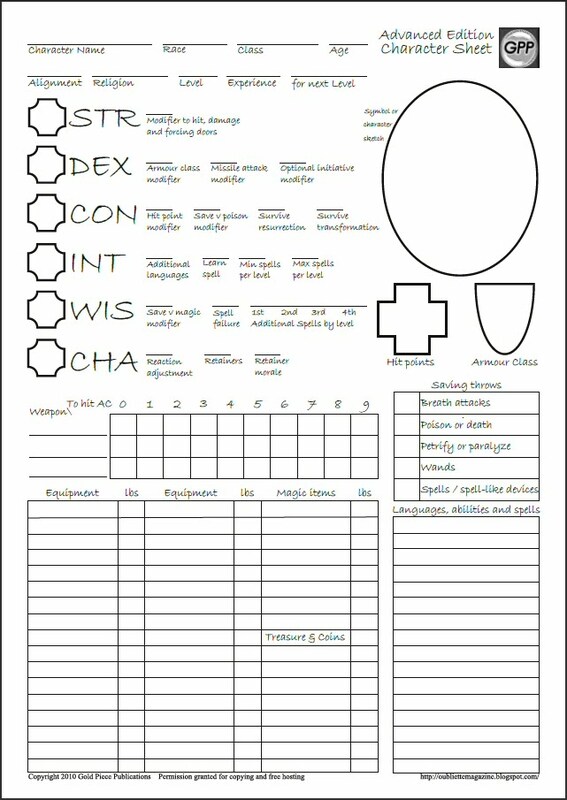 I've just put up a 2 new character sheet packs (one US English and one UK English) as free downloads on RPGNOW.com They're essentially the same as the last ones but now have slots to mark off ammunition for missile weapons. 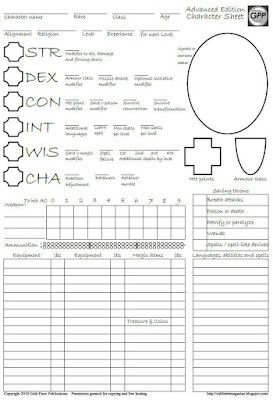 included are 2 optional reverse sheets that allow loads of extra character information to be recorded. 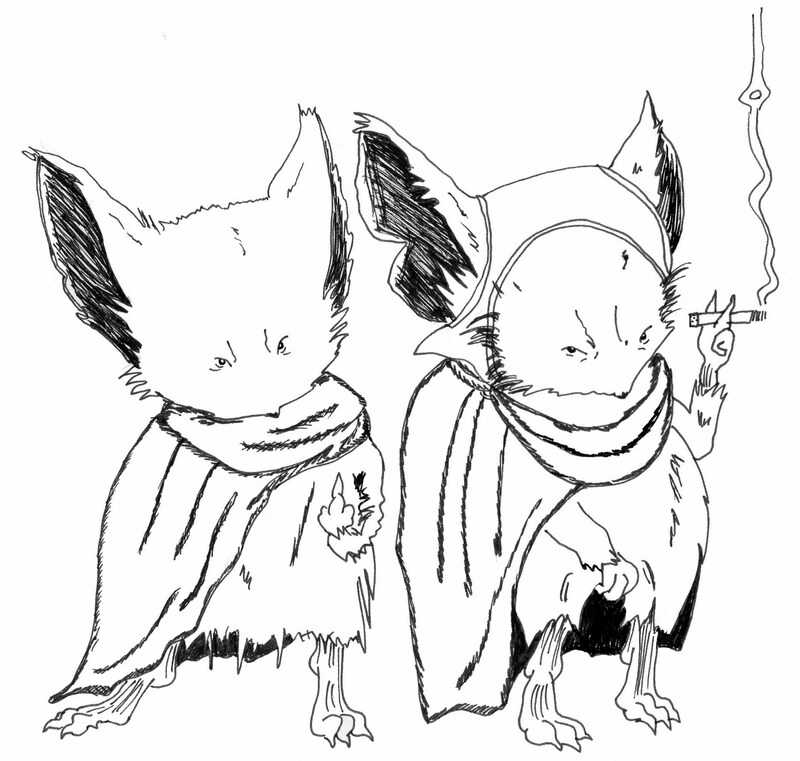 And as a little extra the pack comes with 12 character sketches in full colour that can be printed on to the sheets. Issue 2 On Sale Now! 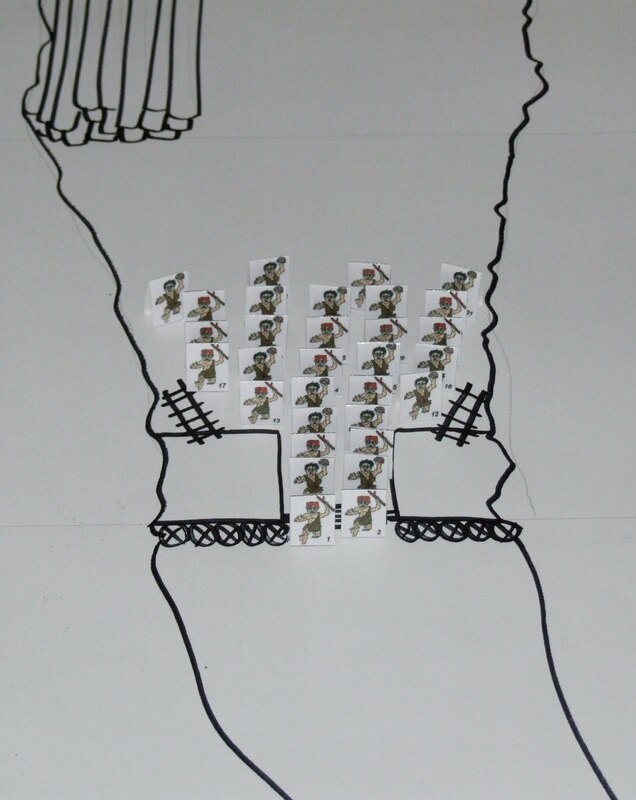 We've packed in loads more artwork, rules and even a new cartoon strip. 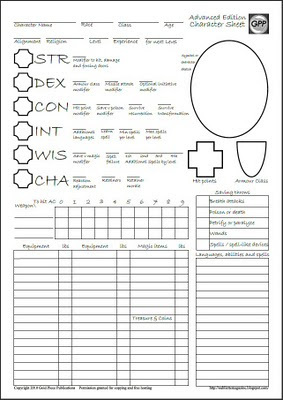 Once again there are 2 sheets of full-colour printable cardstock figures, and this time, there are also 12 pre-generated character sheets to accompany the adventure.